(SPOT.ph) Kids from the '90s will remember a young Atom Araullo as part of Probe Productions and GMA News' 5 and Up, which aired until 2002. Years later, he made headlines for his daring coverage during Typhoon Yolanda in 2013. Now, after a colorful career as a journalist in ABS-CBN, Araullo has announced on Umagang Kay Ganda that he will be leaving the network after 10 years. In a statement, he called it an "amazing adventure" and explained, "The time has come to explore emerging opportunities and challenges beyond the organization." He added that he has "nothing but respect and gratitude" for the network. A statement from ABS-CBN (above) also hinted that Araullo will not stop being a journalist, saying that he may "try out other opportunities in the media industry here and abroad." Meanwhile on Twitter, the Internet is already speculating about Araullo's rumored return to GMA News (above). Eagle-eyed fans have taken photos of the currently airing DZBB Super Radyo show that hinted at a "news personality" with the letter "A" in his first name and surname transferring to the network. 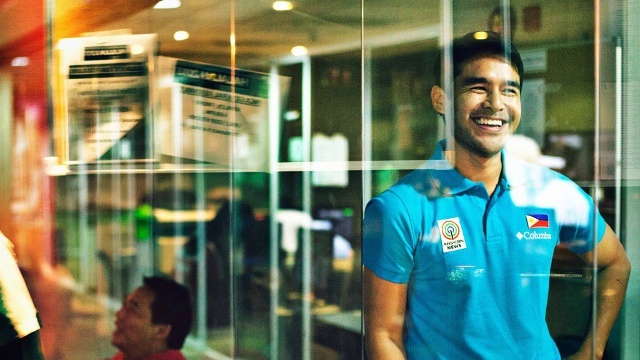 However, Araullo has yet to personally confirm the news as of writing. If you already miss seeing him onscreen, he's set to make his acting debut in veteran filmmaker Mike De Leon's comeback film, Citizen Jake.